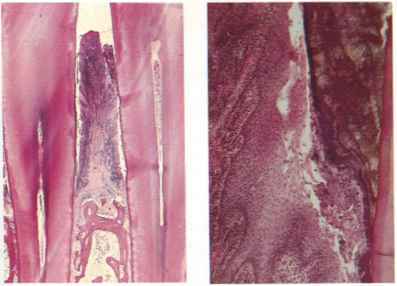 fig 240 Extravasation mucocele and attached salivary tissue. fig. 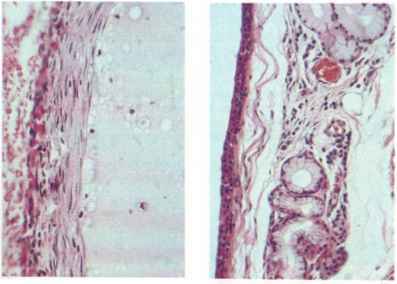 241 Extravasation mucocele: Connective tissue wall (above): mucin- and lipid-laden macrophages in contents. fig 243 Salivary mucous retention cyst: epithelial lining. Rg 242 Extravasation mucocele: fibrous wall. Calculi form usually by concrction of calcium salts round a nidus of organic matter, particularly in the submandibular gland. Calculi may be multiple within the gland or solitary- and in the duct. Sialadenitis with duct dilatation is typically associated. Microscopy Calculi appear cither as lamellatcd structures or multiple concretions which fuse to form a single mass. 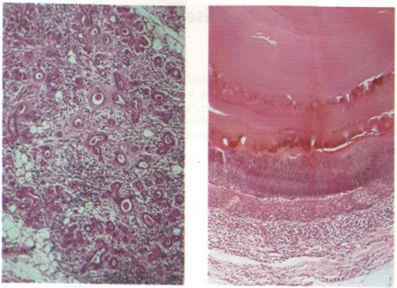 The surrounding duct epithelium may undergo squamous metaplasia (Fig. 245) and the surrounding tissue may be inflamed. Sjogren's syndrome comprises dry mouth, dry eyes and connective tissue disease—usually rheumatoid arthritis. Sicca syndrome has no associated connective tissue disease and differs in the immunological findings. The benign lymphocpithclial lesion is the same histologically as Sjogren's syndrome. These conditions mainly affect women, usually over 50. 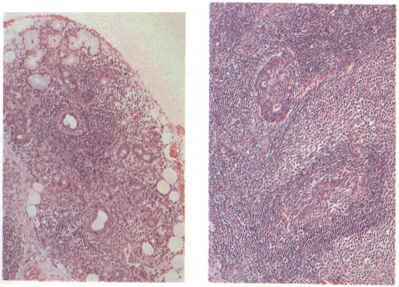 Microscopy Infiltration of salivary tissue by lymphocytes and plasma cells is initially periductal (Fig. 246). The infiltrate spreads outwards and leads to progressive destruction of acini but ducts arc more resistant (Fig. 247). Eventually, only lymphoplasmacytic cells and islands of hyperplastic duct epithelium ('epimyocpithelial islands') may remain. The lymphoplasmacytic infiltrate remains confined within the salivary lobules and does not penetrate the gland septa. Labial salivary glands show close correlation with the parotid changes, but epimyocpithelial islands arc rare. fig. 246 Sjogren's syndrome: early stage. fig. 247 Sjogren's syndrome: destruction of gland acini, and epimyoepithetial islands. fig. 245 Salivary cafcub: squamous metaplasia of duct lining.